Religious Sisters from the Diocese of Brooklyn and Queens celebrated their anniversaries of religious life at a Jubilee Mass and dinner with Bishop Nicholas DiMarzio at the Immaculate Conception Center, Douglaston, on Pentecost Sunday, May 20. Bishop DiMarzio extends good wishes and gratitude to Sister Mary de Porres McAllen, left, and Sister Mary DePazzi Socha, both celebrating 80 years as Sisters of Mercy. 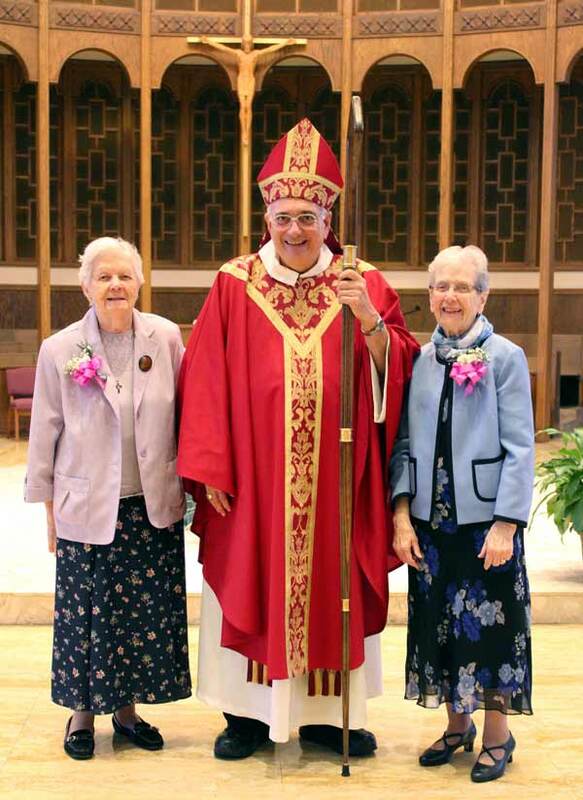 Bishop DiMarzio extends his best wishes to Sisters of St. Dominic Sister Mary Janetta McAlevey, left, and Sister Margaret Schmit, both celebrating their 70th jubilees. Sisters of St. Joseph observing their 70th anniversaries, Sisters Joan Gavigan, left and Sister Eileen Clifford, receive good wishes from the bishop. 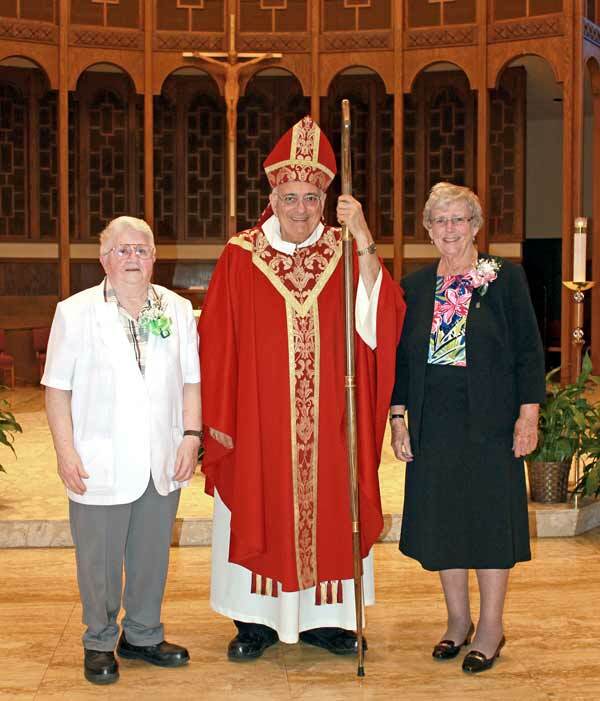 Bishop DiMarzio congratulates jubilarian Ursuline Sister Catherine Gardiner, celebrating 65 years and Sister Judith O’Connor, celebrating 60 years. 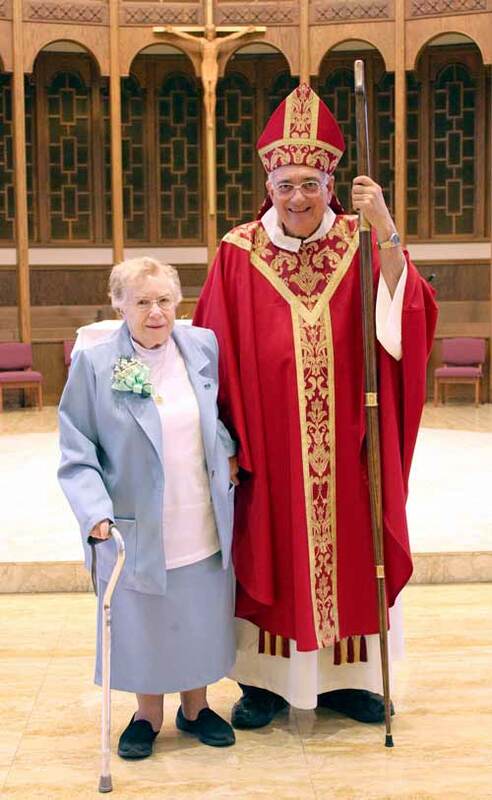 Sister Mary Jane Maloney, marking 65 years as a Sister, Servant of the Immaculate Heart of Mary with Bishop DiMarzio. 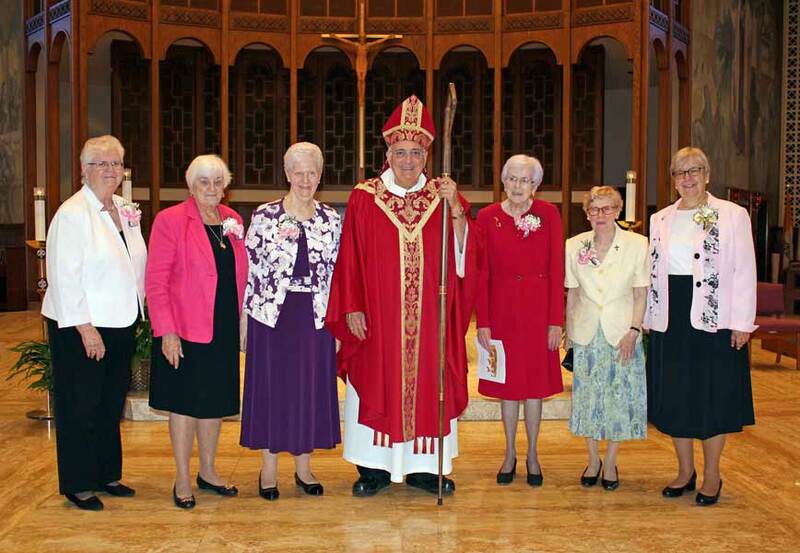 Bishop DiMarzio congratulates Sisters of St. Dominic on their 50th and 60th anniversaries, from left, Sisters Margaret Lynch, 60 years; Mary Spencer, 60 years; Ann Martha Ondreicka, 60 years; Noreen Carroll, 60 years; Francis Genevieve Ford, 60 years and Joan Klimski, 50 years. 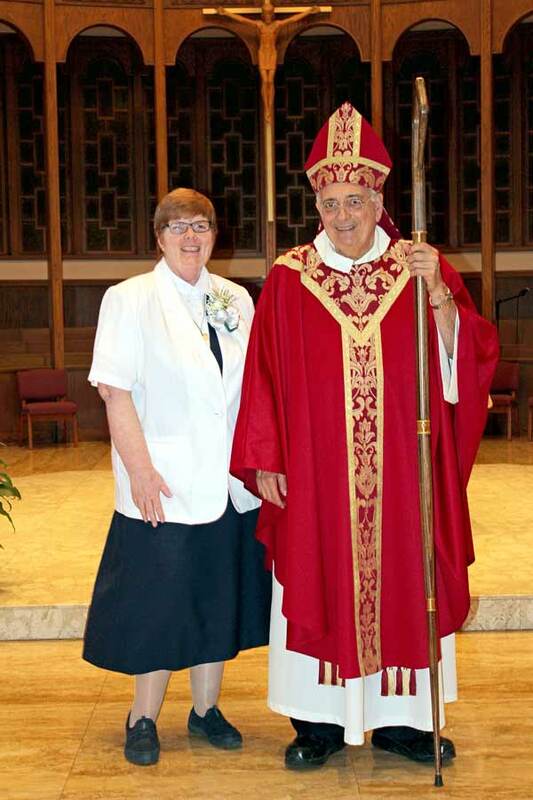 Bishop DiMarzio congratulates Holy Union of the Sacred Hearts Sister Margaret McCabe on her 60th jubilee. 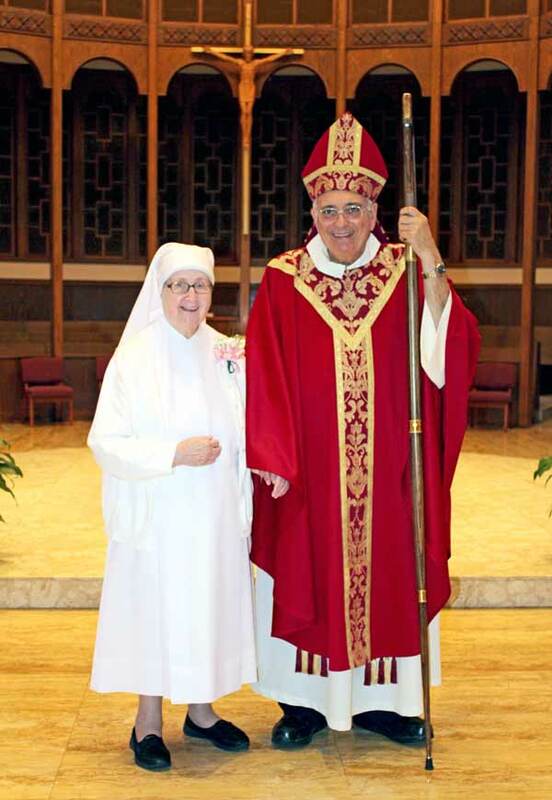 Bishop DiMarzio recognizes Little Sister of the Poor Sister Rita Mary Jesionowska, celebrating 60 years. 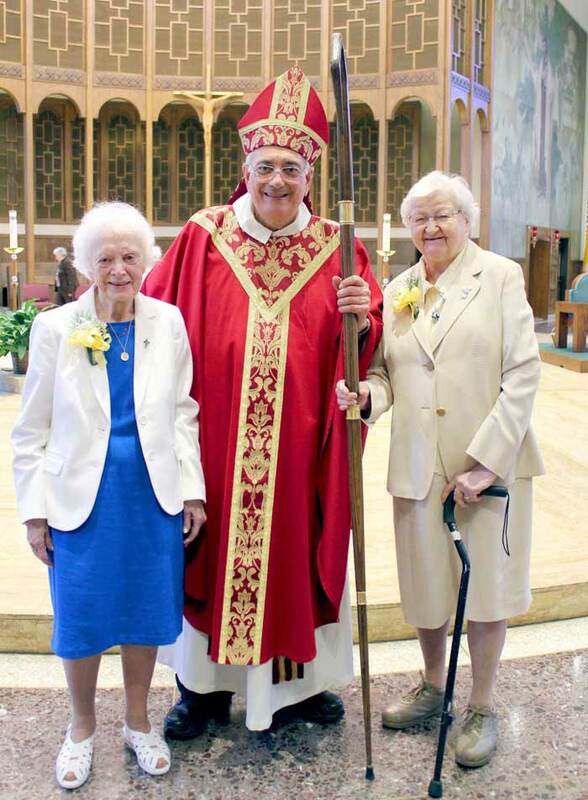 Bishop DiMarzio with golden jubilarian Sisters of Charity, from left, Sister Mary Burns Sister Margaret Mary Fitzpatrick and Sister Catherine Stare. 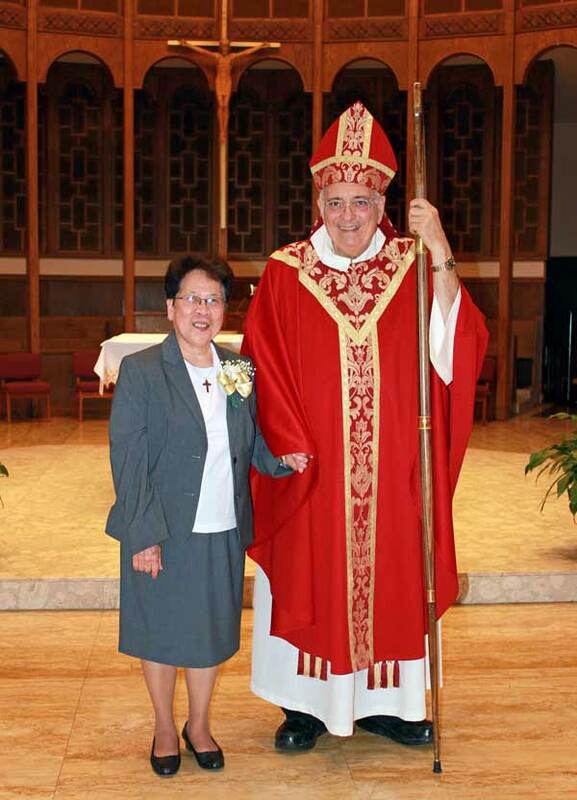 Golden jubilarian Sister Teresita Samson, Franciscan Sister of the Poor, receives warm wishes from Bishop DiMarzio. 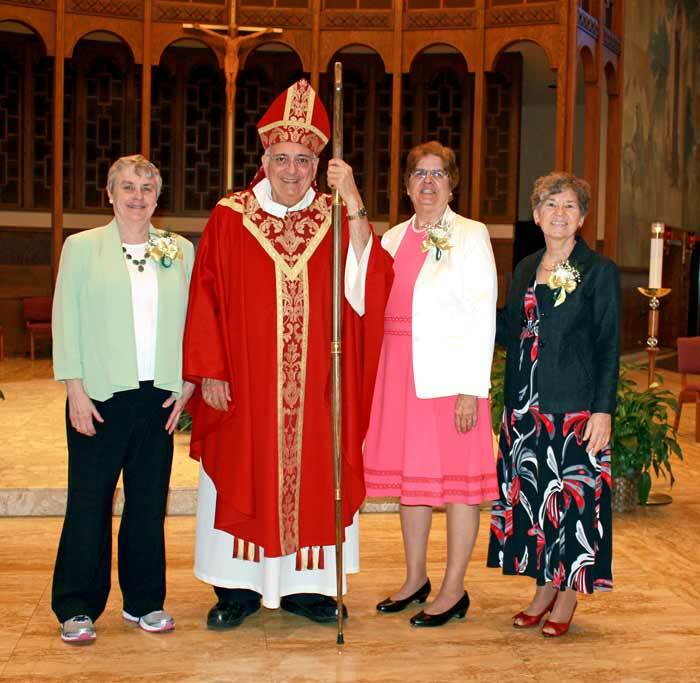 Bishop DiMarzio extends congratulations to Mercy Sisters celebrating their 60th jubilees, from left, Sisters Ellen Glavey, Frances Picone and Marianne Kelly. 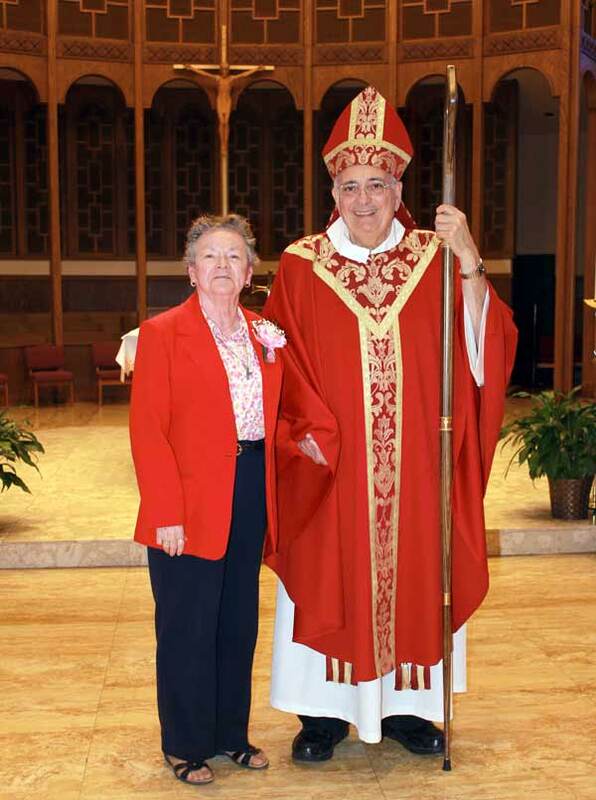 Silver jubilarian Sister Margaret O’Dwyer, a Daughter of Charity, accepts good wishes from Bishop DiMarzio. 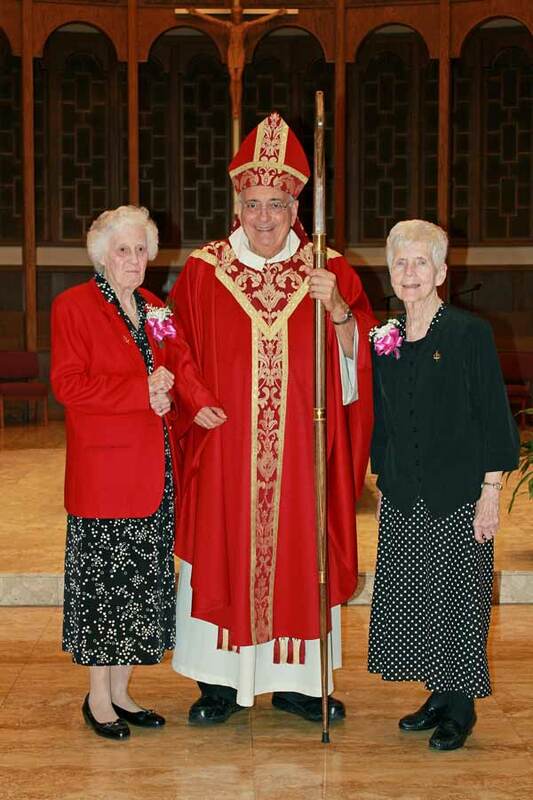 Jubilarian Sisters of St. Joseph are recognized by Bishop DiMarzio. 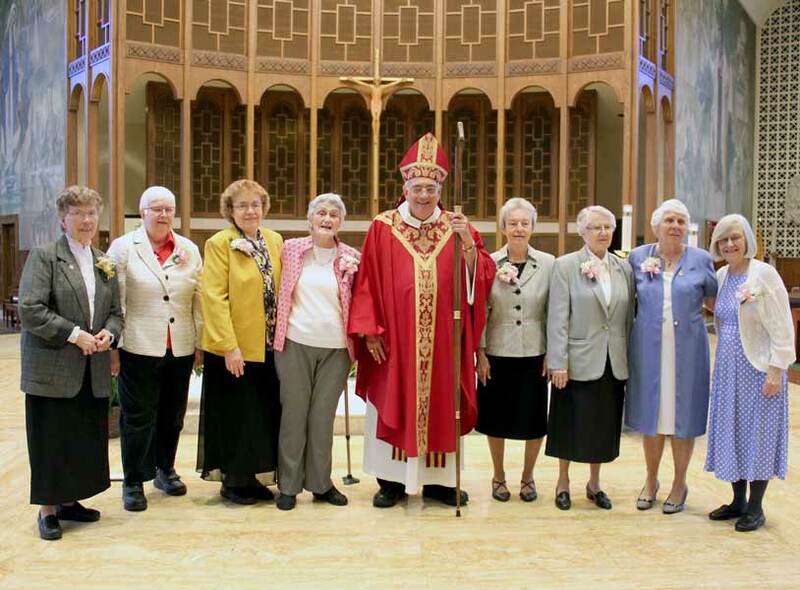 From left, Sister Dolores Crepeau, 50 years; Sister Elizabeth Graham, 60 years; Sister Helene Conway, 60 years; Sister Elizabeth Schroeder, 60 years; Sister Miriam Daniel Pender, 60 years; Sister Marie Antoinette Mannuzza, 60 years; Sister Mary Perasa, 60 years; and Sister Virginia Barry, 60 years. Congratulations Sr. Virginia! Sister subbed at St. Joan of Arc. Sister Miriam was my principal at St. Cecilia. I learned so much from her!